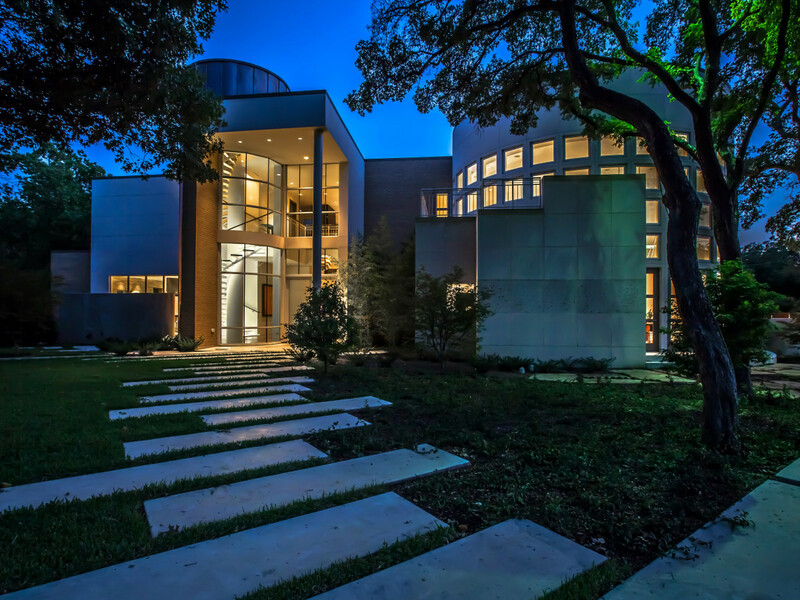 This award-winning Dallas home built in 2012 by Key Residential Ltd. reflects the homeowner’s personal commercial design aesthetic, with elements such as concrete floors and structural steel columns. 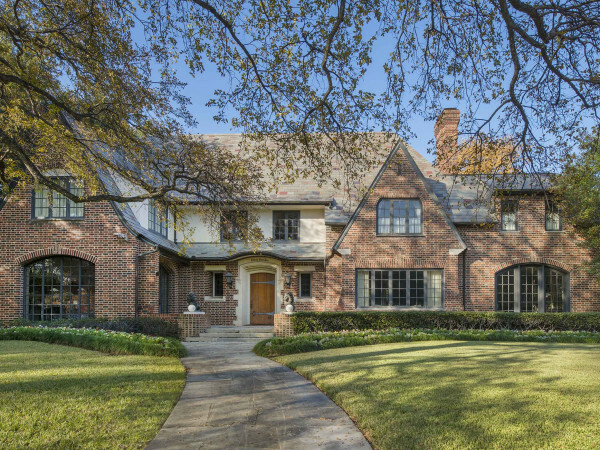 From the floor-to-ceiling, wood-burning fireplace in the living room to the circular mosaic tiled shower in the master bath, the home features one-of-a-kind, custom amenities throughout. 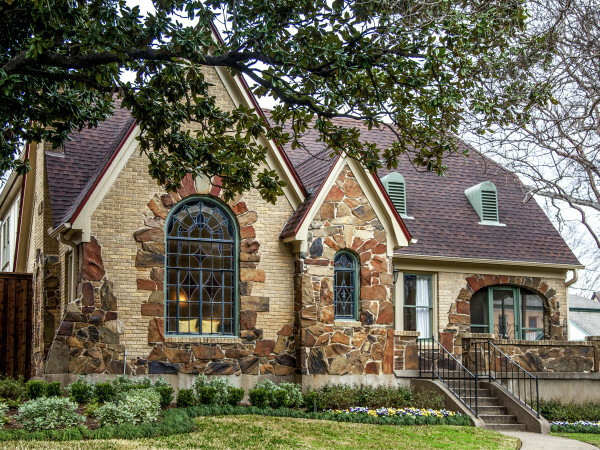 Take a tour of this remarkable Dallas home found on Porch.com. The custom concrete slab wood-burning fireplace is the hottest design feature in the living area. 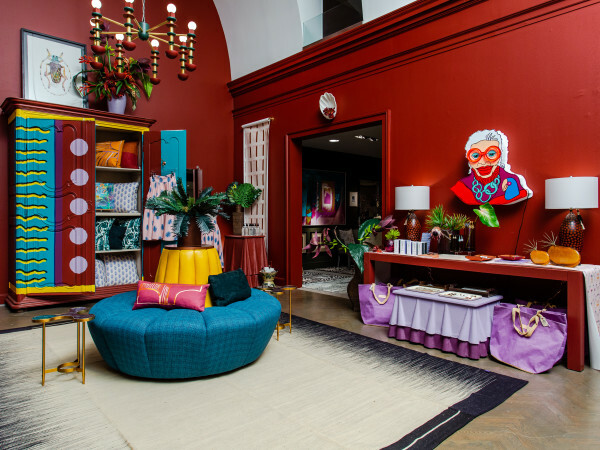 The fireplace hearth and surround is made of Absolute Black granite with sapele hardwood enclosure that extends to the full height of the room. 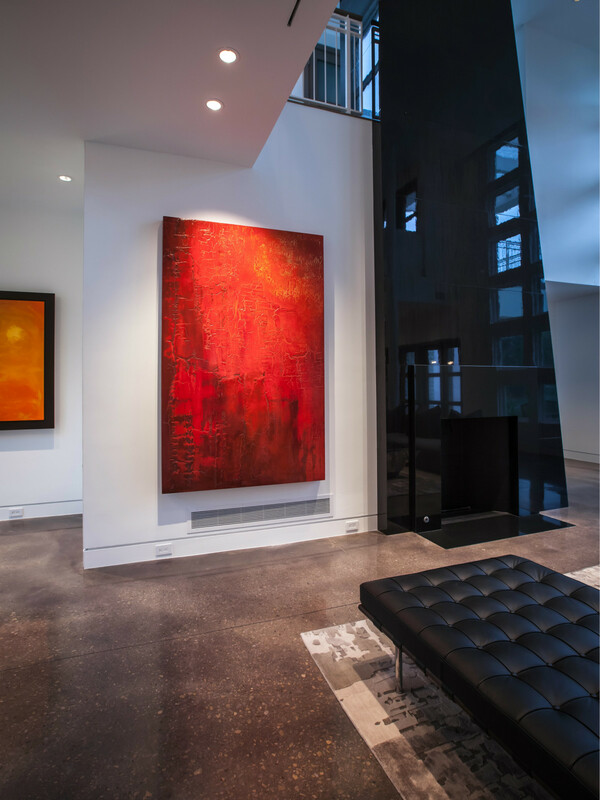 With its high ceilings and windows that go all the way to the top on one wall, the living room feels bright and airy. A mix of dark gray and black furniture anchors the space and provides ample seating. 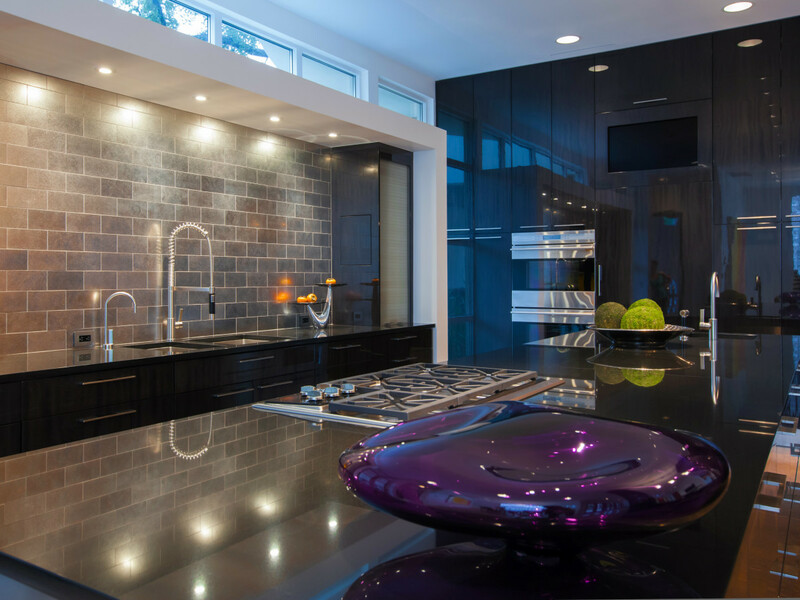 Stainless steel subway tile, custom wood cabinetry and Absolute Black marble counters bring a clean, sleek look to the industrial-style kitchen. 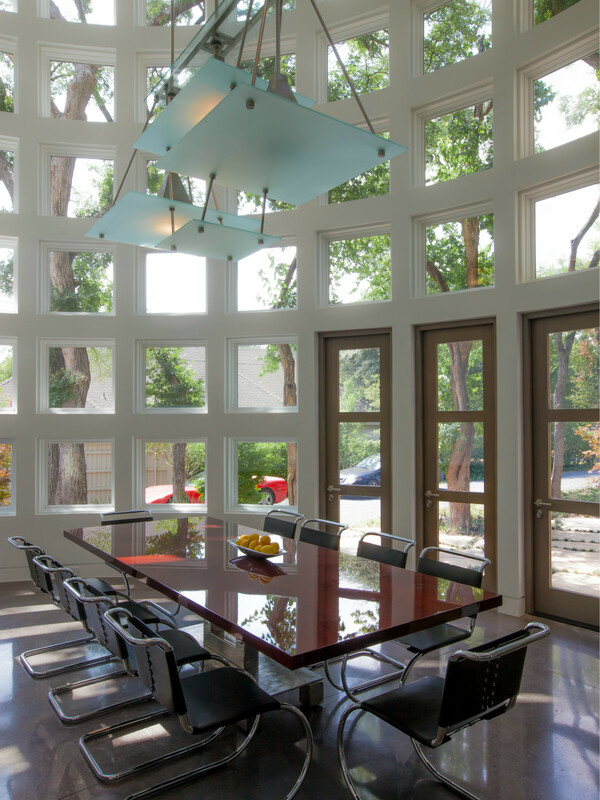 In the front of the home sits a circular dining room with large, floor-to-ceiling glass windows patterned in a simple grid. Another wow feature is the sizeable industrial pipe and glass light fixture that hangs over the dining table that comfortably seats 10. 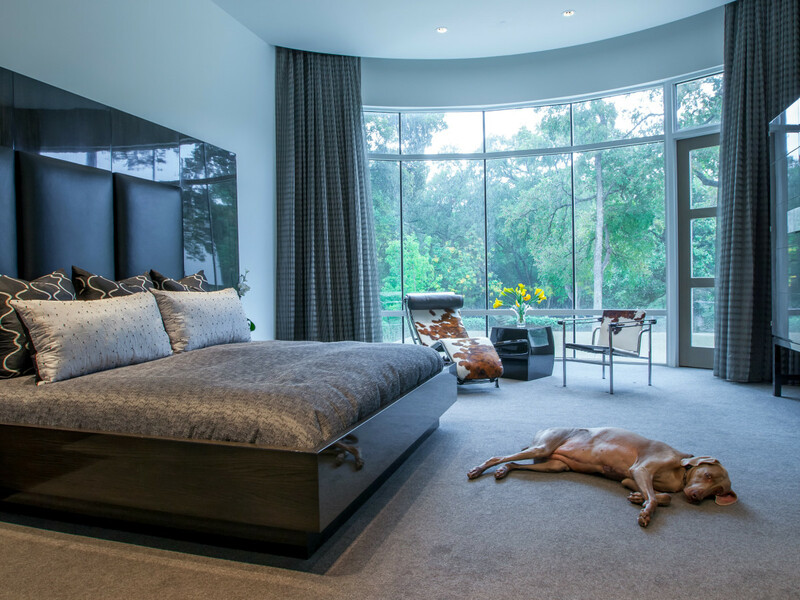 Dark gray shades continue into the master bedroom; a contemporary cowhide chair lends a fun touch to the seating area. Long patterned curtains tower over sweeping windows to control the light when you want to. Clearly the dog is comfortable in this room too. 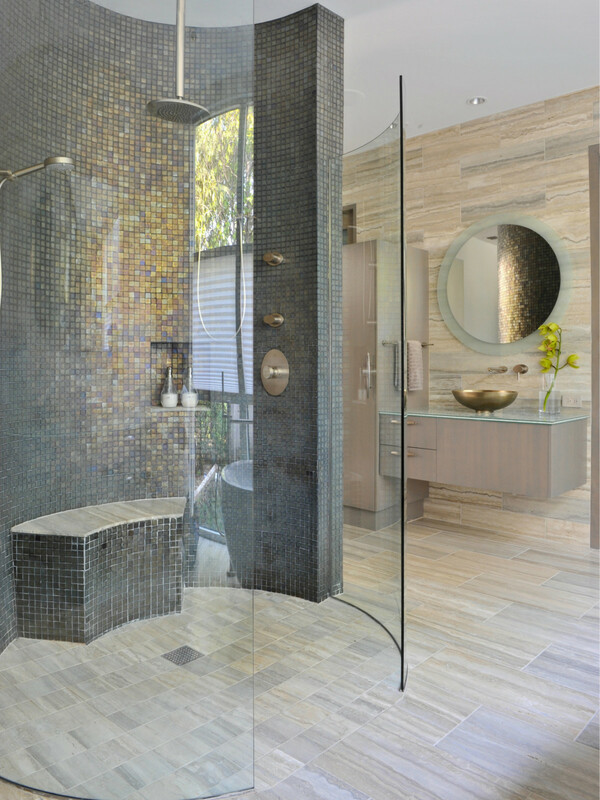 The master bath holds the most magic in this home, thanks to the Siena Silver travertine tile along the floors and walls, as well as an original circular shower with iridescent mosaic tile and a frameless curved glass shower door.